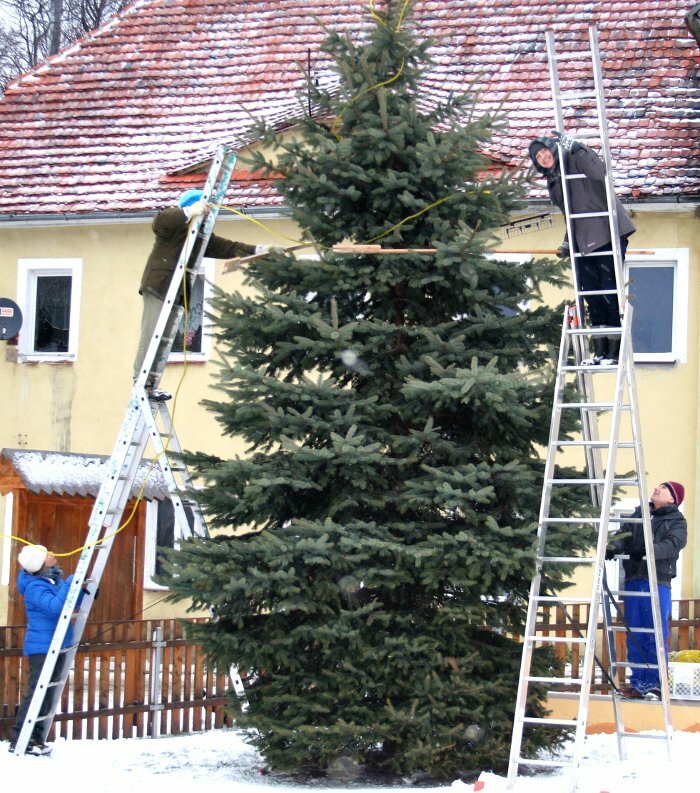 On 7 December a group of guests and volunteers began to decorate the Christmas tree on the playground in Pobiedna. It was a cold, snowy day when we walked towards the playground with our long ladders and decoration material. Local children and teenagers were helping us to put up the Christmas lighting and decoration.